St. Pete Bar members are eligible for the discount programs listed below. St. Pete Bar members can also easily network with their colleagues through our Section and Committee Home Pages, email services, and more. Listed first are our Annual Sponsors and the services and benefits they provide our members. Following below that are community member benefit providers offering varying services and discounts to our members. For more information on any sponsor or benefit provider use the contact information below or click on the link or logo to be directed to the website for each individual one. If you''re interested in being a St. Pete Bar Member Benefit Provider or sponsorship opportunities, please contact the Melissa Byers, Executive Director of the St. Pete Bar at 727-823-7474 or mbyers@stpetebar.com. Onepath designs, deploys, monitors, and supports technology, from the cable to the cloud. We provide the security, support, managed IT and cloud services to keep your data safe, your systems performing and compliant, and your professionals productive and profitable. We provide the easier way to get hard things done, so you can focus on your clients and growing a profitable firm. For more information, please call (813) 283-0194 or visit https://1path.com. We’re the digital agency built for today's needs. At Skyway Media we have one thing in mind: driving better business outcomes for our partners. We’re focused on solutions over novelty. Function and form. Offering a tailored approach to deal with unique challenges. We’re a hyper-charged tribe of agile and creative problem solvers, aimed at helping grow businesses, like yours, from their core. We believe in the power of pioneering. That great work is only achieved by those who look ahead. Because, if you’re not going to lead boldly into the future, you may as well stay in the past. That’s why we’re driven to build, grow, and defy expectations of what small business means. If your law firm is ready to take the next step to better, let’s drive the future together. Does your retirement plan look like all the others? Does it offer no out-of-pocket expenses, professional fiduciary services, a broad range of investment options, and full-service administration? The ABA Retirement Funds Program (“the Program”) has been providing affordable 401(k) plans exclusively to the legal community for more than 50 years. The Program’s bundled approach allows your firm to keep its focus on the success of the practice. We provide trustee, record keeping, tax reporting, compliance testing, investment management, and participant communication services – all from a single source – at no additional cost to law firms of all sizes, even solo practitioners. Maybe it’s time to find out what many law firms like yours already know. It’s good to be different. Call us at 866‑812‑3580 for a free consultation or visit www.abaretirement.com for more information. Law video marketing specialists, advanced local marketing, and video marketing strategy for attorneys and firms. You deserve to be known and tell your story. We specialize in advanced Video Marketing that maximizes results based on your goals. Prospective clients want to hire “You”, not just a law firm. Help them understand what you’re about before they even meet you and why you might be a great fit for them. Videos tell your story, but you need people to see them, so we incorporate an 11-point marketing plan with your videos to make sure your message captures the attention it needs to turn viewers into clients. We're local to the St. Petersburg and Tampa Bay Community and support law firms small and large. It's time to show you're the best solution for your clients. We’ll look at your specialty, competition, business goals, and where you are now to come up with a video and advanced marketing action plan that fits you. This $899 action plan is yours free as a Bar Association member. Delectables Fine Catering, Inc. is a full-service, fine catering company that specializes in creating memorable wedding receptions, impressive corporate gatherings, and elegant parties with a touch of class. CLICK HERE for a letter of introduction. Visit our website at www.delectablescatering.com for more information or contact us at info@delectablescatering.com or call 727-781-1200. EasyLiving FL - EasyLiving, Inc. provides care management and home care services. Care Managers, also known as Aging Life Care Professionals are educated and experienced in gerontology, nursing and social work with a specialized focus on issues related to aging, disabilities, mental health and addiction. The Care Manager will assess the client’s situation, evaluate the client’s health, family support, treatment options, finances and insurance, and develop a care plan tailored for the client’s circumstances. Caregivers, often known as Home Health Aides or Certified Nursing Assistants are to assist clients with activities of daily living and provide basic routine care; such as assistance in eating, bathing, brushing teeth, giving medication reminders, help with dressing for the day, help with transitioning from bed to chair, toilet assistance, as well as household help with changing the bed, laundry, shopping/meal preparation and general housekeeping. Care Managers and Caregivers often work together, with the Care Manager insuring the client and family understand all of the options, choices, costs, and insurance coverage while the caregiver is assisting with the day to day personal care that can become exhausting for families. Please call or have your client call for a complimentary consultation regarding our services and how we may help. 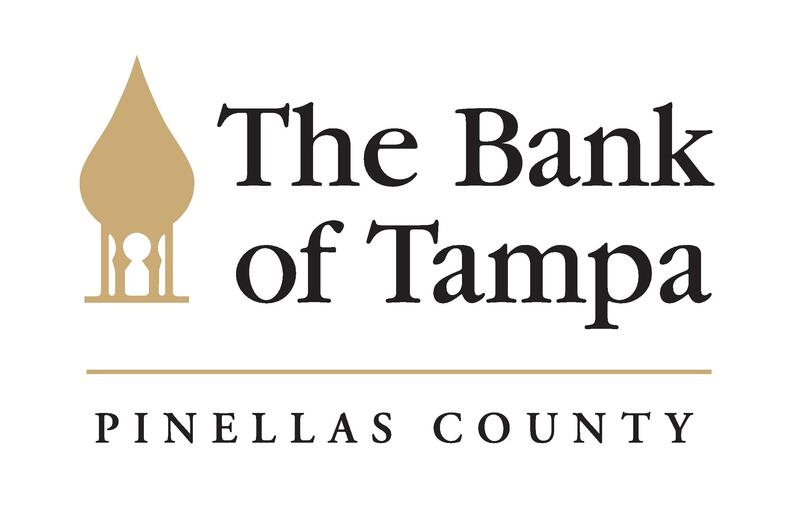 We truly live by our motto to “make your job easier,” so much so that we also offer convenient, state-of-the-art Locations in 5 counties around Tampa Bay. Plus, we can arrange court reporting around the world. When you call us, you know you’ll speak with a real person. You can expect boutique-style service — every time. Ferman Automotive has partnered with SPBA to offer their members and employees participation in the Ferman Corporate Sales Partnership Program. It is The Premier Company Perk. Through participation in the program, SPBA members and employees have access to special incentives available exclusively for you. These incentives may be activated to purchase a company-owned vehicle or employees who wish to purchase a personal use vehicle from Ferman Automotive. In addition to special savings, Corporate Sales Partners will enjoy premium offerings like the Ferman Preferred Concierge. Ferman Automotive offers one of the finest selections of vehicles in West Central Florida. To learn more about the Corporate Sales program, please contact Allen Craig, Director of Corporate Partnerships at Allen.Craig@Ferman.com or 813-802-8015. CLICK HERE for an information form. Footprints Beachside Recovery Center has offered holistic substance abuse treatment for adults since 2008. Founded by a family who experienced the devastating consequences of substance abuse and together overcame addiction, Footprints was created to give others the opportunity to overcome addiction and recreate their lives. Footprints offers dual diagnosis treatment and individualized care at its intimate facilities located in the relaxing and beautiful setting of the beach of Treasure Island, FL to heal mind, body, and spirit at each individual’s own pace with 30, 60, and 90 day program options. CLICK HERE to download a flyer with more information. We are a forensic accounting firm licensed in Florida specializing in Financial Forensics and Collaborative Divorce. We perform all engagements with integrity, objectivity, due professional care, and a genuine interest in serving the client. We provide quality services in a manner that demonstrates a level of professionalism consistent with the Principles of the Code of Professional Conduct. Services are customized into cost-effective solutions on a case-by-case basis. Financial forensics is a broad term encompassing a variety of services including forensic accounting, marital dissolution, litigation support, fraud investigation, and business valuations. It is anticipated that expert witness testimony is a by-product of these services. In these engagements, our goal is to develop an expert opinion that is helpful in resolving the issues as efficiently as possible. Collaborative Divorce is the newest method of alternative dispute resolution in which the attorneys for both parties agree to assist the clients in resolving family disputes in a voluntary, non-adversarial manner, without going to court. In addition to the attorneys, the collaborative team may consist of a Mental Health Practitioner and a Financial Neutral, such as a Certified Public Accountant. The Financial Neutral is an essential member of the collaborative team by assisting the parties in understanding the impact of settlement options and what their financial worlds will look like going forward. Our mission is to educate, guide and counsel our clients toward reaching their full financial potential. We believe that your mindset is important for people that are ready for change and an era of wealth management that makes your money work for you. Please view our JB Wealth Builder Planning Video. As sponsors of the St Pete Bar, we are pleased to offer complimentary services to you. With over 100 years of combined experience, we can provide the following personalized planning and more. • Our Certified Divorce Financial Analyst™ can consult with you and your client and analyze the proposed Marital Settlement Agreement. In addition, she can serve as the Financial Neutral in your Collaborative Divorce Cases. • Do you have a 401k, SEP, or Profit Sharing Plan? We can review your current plan or help you determine what might fit best for your practice. • Our Certified Financial Planner™ can help develop and implement a personalized goal plan to get you from where you are now to where you want to be. We have planning software that can help determine if your retirement plan and savings are on track. Seacoast is new to St. Petersburg but not new to banking. We have been in communities throughout Florida for over 90 years. A growing firm needs more than firm handshakes. You want commitments and results from your partners at Seacoast Bank. We provide a dedicated team to help your business reach its financial goals through individualized products and services. Please contact our bankers to discuss future lending opportunities for you or your clients. Seide Realty helps our customers buy and sell real estate in the Tampa Bar Area. We combine research, local knowledge, and experience to take the headache out of moving. Please feel free to contact me directly or say hello at the next bar event, I am more than happy to answer any of your real estate related questions. I promise if you refer a client to Seide Realty – they will thank you and so will I! Member Benefit: $500 Rebate - Buy or sell property through Side Realty and we will give you a $500 credit at closing. Member Benefit: Free Broker Opinion (BPO) – Let us help when an accurate property value is needed but doesn’t involve a sale, such as divorce negotiations and settlements, or to know if refinancing a property is a possibility. Suncoast Legal Search is a diversity-embracing contingency search firm specializing in finding attorneys, legal staff and non-attorney professionals for law firms and companies on the Florida Suncoast from Tampa Bay to Naples. We are Saint Petersburg based with national applicant reach, and have a poach-free policy. Stevens & Stevens BRM, Inc.
Stevens & Stevens Business Records Management, Inc., founded in 1994, is a full service records storage & management company. Contact 727-573-3900 for more information or visit their website at www.ssbrm.com. Your clients, your teams and the highly sensitive information your business holds are the primary assets of a successful law firm, so it goes without saying that data quality, accessibility, reliability, and data security are tantamount. Today’s rapidly changing business arena is causing concern among law firms regarding how to leverage technology to ensure data integrity, optimize workflows and protect the confidential information of your client and your firm. TeamLogic IT understands the challenges facing the legal industry and provides the expertise to deliver effective information technology management solutions. Tranquil Shores offers clinical and personalized substance abuse treatment focused on long-term success for the client and their family. Today, everyone depends on technology, yet technology is ever evolving and issues can arise daily. The landscape is filled with hackers, viruses, malware, data thieves, keystroke loggers and cryptolockers. That is just a small list of threats, not mentioning the issues that can arise with aging hardware and operating systems. If you depend on technology, having a team of professionals on your side isn’t an option, it is a necessity! The SimplicITy Suite is not only affordable, but incredibly powerful. We have combined the best software, with the best people, to bring you a solution that will keep you up and running and safe from any threats the “bad guys” can throw at you. Insuring St. Pete’s Residents and Business Owners since 1925! Home – Flood – Auto – Boat – Benefits – Business – And More!! St. Pete Bar members will receive a 25% discount on all ABA books including New Releases, Best Sellers, CLE Books & Tapes, and e-Products. ABA legal publications support professional excellence and greater understanding of the law. The ABA publishes approximately 100 law books per year in numerous specialized areas of the law. The ABA bookstore also carries selected titles from other publishers. Saving money at www.ababooks.org is easy! Click here to download instructions and start saving money today! To sign up for the St. Pete Bar Association Discount Program please contact Office Depot below and tell them you want to sign up for our program. Virtual Receptionist Services is the perfect solution for solo and small law firms. We offer 100% Spanish-English virtual receptionist services that provide your firm with the best service at a fraction of the cost of an onsite receptionist. · Texting and emailing you your messages instantly. St. Pete Bar Members receive a 30% discount on a single license of PerfectIt. SPBA Members receive 10% off all services! • CLICK HERE for more information on UER's hard drive shredder. • CLICK HERE for a list of acceptable e-waste items. We are pleased to offer St. Petersburg Bar Association 50% off Local Rate ads. Special "first time" ad is only $100 for eighth page ad only. Zola Suite is the only practice management application with a true, built-in email and robust business and trust accounting. In addition to these unique capabilities, Zola Suite offers best-in-class Case Management features, Document Management, Task Management and much more through an intuitive, fast and fun interface. Zola is cloud-based and is accessible through any browser as well as native iOS and Android apps. Members of the St. Petersburg Bar Association can use the coupon code "SPB19" to receive 10% off of Zola Suite for up to five users. Click Here for more information.